What Is the Q Grader Coffee System, and What Does It Mean For Your Morning Cup? 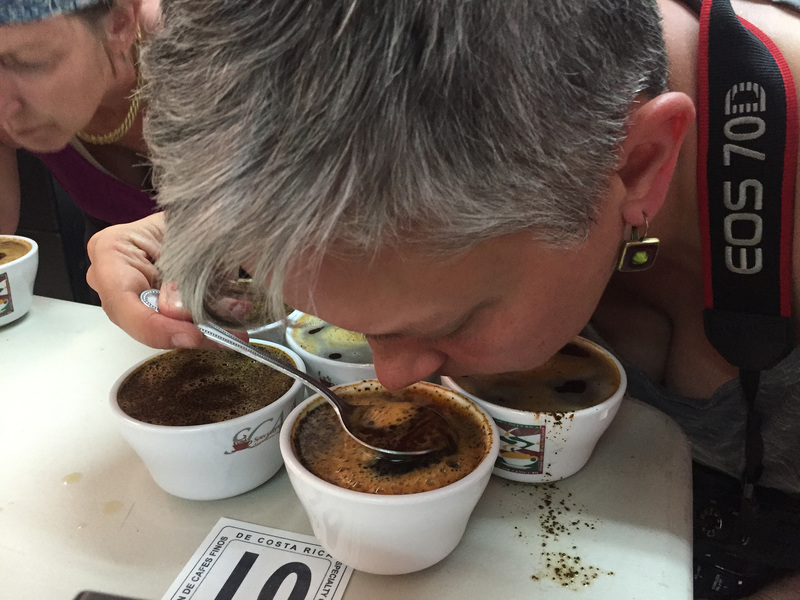 The Q grader exam is among the most rigorous tests in the sensory realm. Those who pass it are likened to sommeliers of coffee; but Q graders don’t show up tableside and tell you how to prepare your morning brew, so the analogy doesn’t really hold. 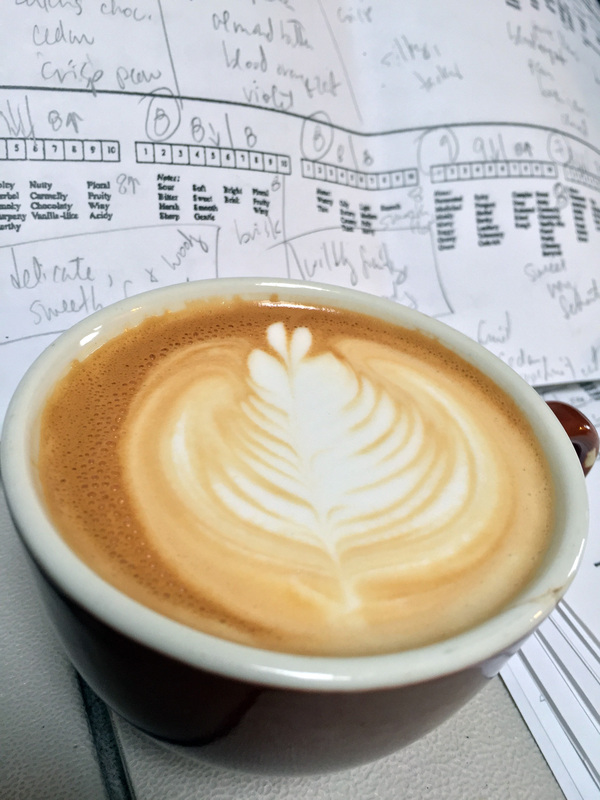 The exam itself has been compared to the bar exam in law, but the reality is that a Q grader’s practical experience—working with green coffee, roasting coffee, cupping it, identifying its sensory features—is more crucial to passing the Q than any amount of book knowledge, so that’s not a great analogy, either. I took the Q grader exam in August of this year, and the analogy I’ll offer is that of a Zen practitioner trying to meditate in a traffic jam: a Q grader must cut through all the sensory noise—extraneous aromas, flavor and texture residues, the coffee that came before this one, and one’s own subjective preferences—to identify the essence of any given coffee. And we must do so in a room full of other— other nervous, amped, perhaps even sweaty people—trying to do the same thing, while being timed. 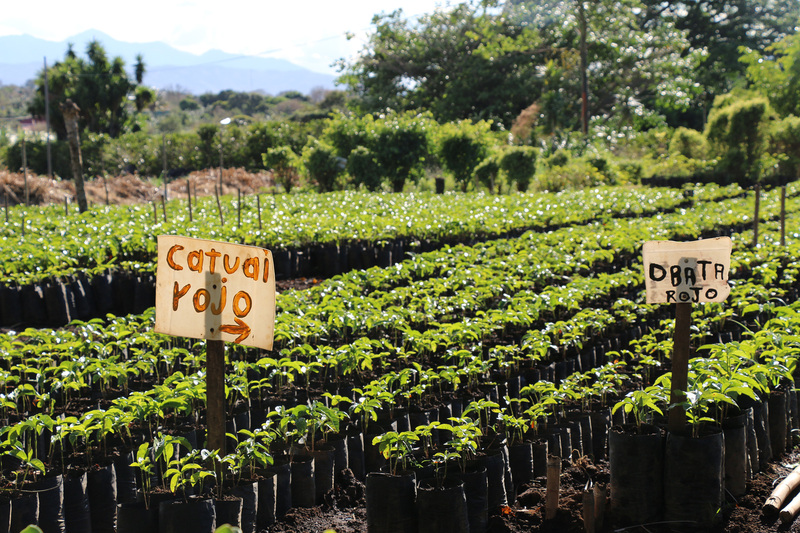 The Q system employs a standard and a universal language for evaluating coffee, both at the export level and at the consumer level, first certifying coffees as specialty, or not, then assigning a score on a 100-point scale. (Coffees that score below 80 are deemed commodity, i.e., not specialty coffees.) Q certified coffees fetch premium prices for farmers and exporters and allow green-coffee buyers to select by score and other qualities to present roasters with the wealth of options—across origins, processing methods, and coffee varieties—we see as coffee drinkers in cafés and on store shelves. And this is just for Arabica coffees! There’s an entirely different system for the Robusta species of coffee, hardier plants than Arabica, but much less desirable in terms of flavor. In a nutshell, the Q system is designed to uphold the standards set for specialty coffee by the Specialty Coffee Association of America (SCAA), which just unified, after much brouhaha, with the Specialty Coffee Association of Europe (SCAE). And, of course, coffee-producing countries each have their own elaborate systems for grading and certifying coffee quality. All this formality and infrastructure around coffee might imply that there’s something to the critique of snobbery often leveled at the coffee industry these days, especially in U.S. cities like San Francisco, Los Angeles, Portland, Seattle, and New York, where a simple pour-over cup might cost you five bucks, not including tip. 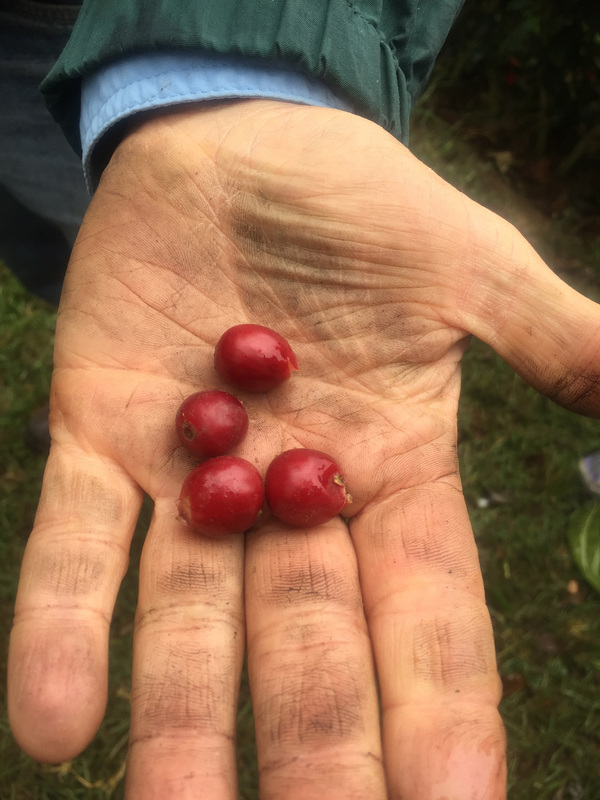 But it’s important to remember that coffee is a fruit that must be tended carefully from seed to cup, as they say, in order to result in the level of quality we’ve come to expect. Farmers have to select the best varieties to plant, know where to plant them for optimal growth and development of sugars, as well as oversee the processing of the cherries to avoid common taints, such as mold, which can ruin an entire crop. The responsibilities of everyone else in the supply chain ensue, from the millers and exporters, to the buyers and roasters, to the retailers and baristas. When you stop to consider how many people it takes to bring that exquisite cup to you, any one of whom might make a crucial error, then what we sometimes view as snobbery might be more accurately denoted as care. Hence, the increased interest in the Q certification process. There are currently about 3500 licensed Q-graders in the world, having passed the test administered by an instructor from the Coffee Quality Institute (CQI). I was fortunate to work with Jodi Dowell Wieser, who started her career with the renowned Willem Boot at Boot Coffee in San Rafael, California before launching Gather Coffee Company, devoted to coffee education and training. Jodi is the perfect Q teacher: calm, rigorous, encouraging and empathetic, with a big bag of strategy tricks she’s happy to share. When I passed the Q, mid-morning one fine Saturday, after rounds of triangulations (identifying the different cups in multiple sets of coffees), my fellow classmates congratulated me, and I certainly felt relieved. But all I could do was slink quietly into the kitchen of the lab where our class was being held and wash some dishes, running my hands in the warm water and focusing on cleaning the glasses we’d used for cupping. It took me nearly an hour to come down off the experience before I was able to be present for my classmates, who felt at this point more like comrades, as they finished their tests and waited for the results. You get three tries to pass most of the sensory tests, which number 19 out of 20 (only one is a written test) over three days of exams. For the tests that involve your nose and palate, the ones you don’t pass the first time get harder, not easier, as these senses get overworked (and eventually dulled) by repeated exposure to coffee aromas and flavors. One strategy that worked well for me was to avoid using my palate whenever possible, so as not to saturate it. That was only possible in two sets of tests: the olfactory and the aforementioned triangulations. The olfactory tests are divided into four categories: sugar browning, dry distillation, enzymatic, and aromatic taints. Each aroma kit has nine distinct aromas, and the goal is to identify six specific aromas and their corresponding matches in the test kit, and then identify by name three additional aromas. One challenge is that the kit, produced by Le Nez du Café, is comprised of synthetic aromas, so “toast” might smell more like butter and “licorice” might remind you of maple syrup. So, in addition to memorizing these 36 aromas, you often have to unlearn olfactory memories you’ve carried around for years. One sample in my test kit, “malt,” was tainted and didn’t have a clear match in the reference kit. It smelled to me like stinky cheese or dirty socks, and it had no referent I could identify. After I failed the test a second time (first guessing black currant, then licorice), I reluctantly approached Jodi, who was able to identify the vial as tainted and throw out the question, something that rarely happens, but can be an important revelation if it does. Most students rely on their palates for the triangulations, but one strategy I attribute to my success is relying only on my nose for the triangulations. 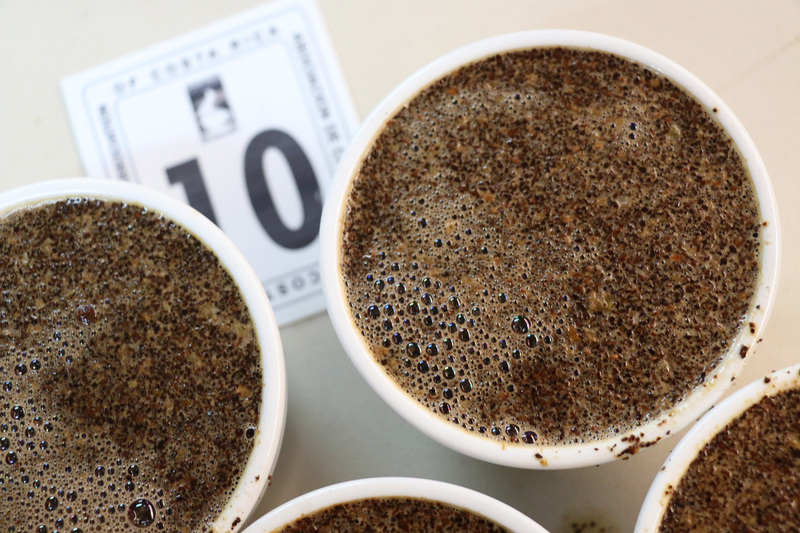 Divided into four tests—naturals, Asias, milds and Africas—each triangulation session is comprised of eight sets of three cups of coffees, two in each set that are the same coffee, and one that is different. Although I almost hyperventilated during each round (by the necessity of inhaling disproportionately to each exhale), my olfactory assessment of the fragrance of the dry coffee grounds before pouring the water over them, followed by my assessment of the aroma of the wet grounds, was my method for attacking this exam. Once I got my palate involved, my taste buds became too saturated to make subtle distinctions among flavor profiles. And all of these triangulation tests, as the olfactory tests above, are administered under red light, so that colors can’t influence your judgment. Just imagine eight students scrambling around a table in the dark trying to pass these tests! Not only do the exams require complete focus and concentration, they also require the courtesy that comes with body awareness and conscious protocols discussed and developed by the class as a whole. Miraculously, I was able to pass all four triangulation exams on the first try, largely because I kept my mouth out of it. The tests that specifically involve the palate are the cuppings, which are graded on each student’s calibration to the group, as well as the sensory skills test and the matching pairs test, both of which were the hardest for me, personally. Our class was beautifully calibrated from the start, which gave us all a boost. Although I passed the sensory skills test on the first try, it was by the skin of my teeth. I passed the matching pairs test on my second attempt. What the heck are these tests designed to assess? The sensory skills test measures your ability to distinguish among sweet, sour and salty flavors in water. Easy, right? Well, part one is easy, as it is an instructor-led reference set. Part two requires you to line up each by level of intensity, for example, salty 1, salty 2, salty 3. This one isn’t terribly hard, either. But in order to pass the test, you must score 67% or higher on Part three, an identification of combinations of two or three mixtures, at different levels of intensity: mind-boggling. Because, for me, the tap water used as a base suddenly seemed to contain hints of salt, sugar, and citric acid. So, to identify these at their minutest levels was very difficult. Somehow, I manage to squeak by. I made a strategic error in my first approach to matching pairs, the test that requires you to taste eight sets of four weak-brewed coffees, two of which in each set are untainted, and two of which are tainted with one of four acids commonly found in coffee: citric, malic, acetic and phosphoric. These acids are difficult for many people to distinguish among, much less identify by name, simply placed in water. But adding them to weak coffee, which itself contains acid compounds, raises the bar considerably. The first time I took this test, I made the mistake of trying to name the acids as I was simultaneously going around trying to identify tainted cups in each set. By the end of the test, I felt like I was swimming in a sea of lemon juice, with my mouth open. My success in round two, I attribute simply to taking one pass around the table to identify which cups were tainted, the easier task of the two, by far. Then, I cleansed my palate—not with the mineral water and crackers that had been the key to the kingdom in previous tests—but with sugar I licked off the top of a doughnut, a breakfast treat Jodi had kindly brought in for the class. This strategy was completely counter-intuitive to me, as sugar wrecks my palate more than almost anything, but it was precisely the antidote I needed to the pile-up of acid on my tongue and the insides of my cheeks. This is a small window into the training behind the folks who evaluate and sign off on the coffee you drink every morning. The Q grader license is good for three years, and then I’ll have to calibrate with other cuppers to renew. But I’m done with swimming in a sea of acids forever. And now, when I cup coffees that come into the lab where I work at Coffee Review, I sometimes say “malic” when a coffee’s acidity is reminiscent of biting into a crisp apple, or “phosphoric” when the mouthfeel is more like drinking a Coke. And then I laugh, or sigh, grateful to have gotten through the Q grader exam in one piece.